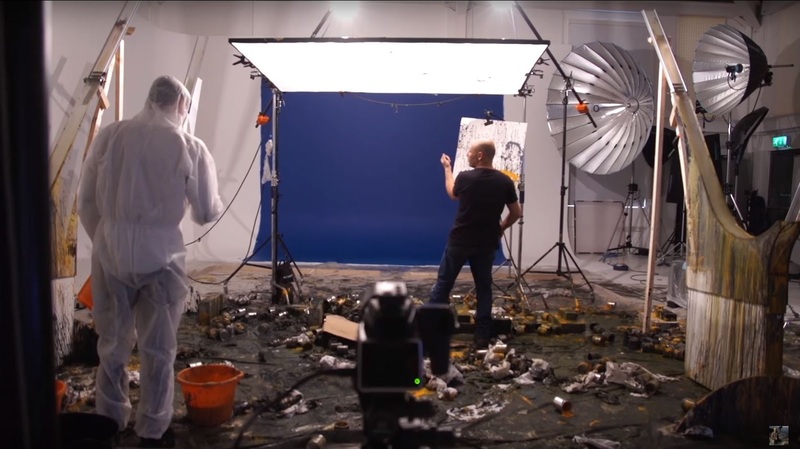 Just how much mess can one shoot make? Hasselblad H6 Behind scenes video. Photographer Karl Taylor explains on YouTube his experience with the new Hasselblad H6 and how the behind the scenes video was done. I was one of just a few lucky photographers tasked with the job of shooting with the new Hasselblad H6 camera and producing images for the camera’s launch. Having already seen the camera in Sweden and run through some of the amazing new features I was very excited to put it to the test. Yes it was very messy, in fact it took two days to clean up and then we still had to paint the cove back to white. For the shoot I chose the particular hue of blue for the background because it juxtaposed well with the orange paint that I was going to use in my shots.